2013 yielded some interesting outcomes in my teaching and writing career. Late in 2013, I was announced as my building’s “Teacher of the Year” for 2014-2015. In response, I decided to write a series of books that details my best practices and my teaching philosophy. The first of that series is now available for purchase. The Re-Creating Lifelong Learners book series reinforces authentic instruction by holding students accountable to assignments that are based in the real world and have long-term goals in mind. My Brand Interview by Susan Newman Design brought some excellent attention to my work. Susan is a Jersey City resident who specializes in media and marketing. Locally, I have had several events in Jersey City. The public library, JC Made, and Farms in the Heights have all been wonderfully receptive to my work. 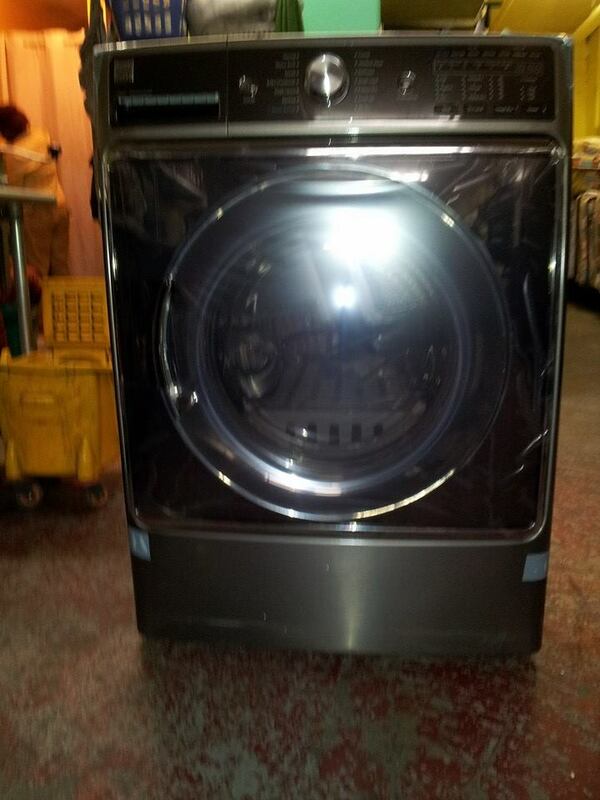 One of the most rewarding experiences of 2013 was my ability to raise enough money to purchase a dryer for Sylvia’s Place, a homeless LGBT youth shelter in Manhattan. Jeremiah Kleckner hands the money over to Ted McGuire. A snapshot of the dryer purchased exclusively through book sales. I am still clawing my way to reach my $1000 donation goal to @MCCNewYork Homeless LGBT Youth Services. Click here to find out more. September has been a fantastic month for the book’s visibility. The “Tales of Our Cities” event in Jersey City has opened up a world of opportunities for speaking, reading, and selling. This has helped push the number of reviews for Captain James Hook and the Curse of Peter Pan to 41 on Amazon. With some luck, more events are in my near future. Book Two in the Captain James Hook series is done on my end, at least for now. Jeremy Marshall has the reigns through the winter season and will add his ideas to the pot. I’ll jump back in sometime in March to push it along for a June release. Until then, my job is to teach, post, coach, and kick around other project ideas. If you need to read up on the $1000 donation goal to @MCCNewYork Homeless LGBT Youth Services, click here. June has been another spectacular month for the book. Much of the attention drawn in April helped push Captain James Hook and the Curse of Peter Pan to its 38th review on Amazon. The book interior of the paperback edition received a complete overhaul thanks to Adobe InDesign for CS6. During this month, I taught myself how to use it and I couldn’t be happier with the result. Check out the new book interior (and read the whole first chapter) here. You can read more about my Adobe InDesign journey here. For a long time, I was intimidated by a story written by J. V. Hart, titled Capt. Hook: Tales of a Notorious Youth. You might know J. V. Hart as the screenwriter for small film projects like “Hook” (1991), “Dracula” (1992), and “Contact” (1997). The book never did much, but it was supposed to be the first in an ongoing series. This month, Captain James Hook and the Curse of Peter Pan surpassed J. V. Hart’s novel in number of ratings and higher ranked ratings on Amazon and Goodreads. It is cause to celebrate. Book Two in the Captain James Hook series has 57,000+ words and is in a serious need of editing. The goal is to whittle my mad ravings down to about 45,000 words of enjoyable text. I am hoping that the July update will have the words “I’m done with Book Two” in it somewhere. We’ll see. The challenge of writing at this speed scares me a little and I recognize that it’s a good thing. STOP! If you know nothing about my $1000 donation goal to @MCCNewYork Homeless LGBT Youth Services, click here. May was a banner month for Captain James Hook and the Curse of Peter Pan, which has now reached over 12,000 readers. The book has received over 30 reviews on Amazon, still averaging 4.8 out of 5 stars! The profits from April and May will be a major contributor the $1000 donation goal. However, we’re not there yet. The first quarter of the year was slow, but the second quarter of 2013, leading up to the one year anniversary of the book’s first release, has shown progress and promise. The Captain James Hook trilogy is mapped out and on an accelerated schedule. Book Two is at 50,000 words and is nearly ready to be honed into something readable. Book Three is loosely plotted and will be drafted over the summer. I am still looking for a fall release, but my ambitions have changed. Both Book Two and Book Three will be released before the end of 2013. As with everything that I think I can do, once I realize I can do it, I want to do more of it and at a greater frequency. This week, I talked with someone else who is also producing material that he is publishing and marketing himself. He used the expression of a “rubber-necked giraffe” to describe the idea of being discovered by a consumer because they looked back at your body of work after finding one of your items. The model only works if you have more than one thing to offer. Whether it is books, music, or photos, a constant stream of quality output is necessary to succeed. If you’re reading this and you know nothing about my $1000 donation goal to @MCCNewYork Homeless LGBT Youth Services, click here to catch up. April was a killer month for the book. During a two-day free promotion, Captain James Hook and the Curse of Peter Pan hit #1 in Historical Fantasy and Mythology and reached over 8000 readers. Once again, this was a free promotion, but the exposure boosted sales and we received our 2oth review on Amazon, now averaging 4.8 out of 5 stars! Being exclusive to Amazon gives nobodies like me access to promotional avenues that aren’t available at other book-selling sites. For example, the free promotion that gave away over 8000 copies of the book also drove legitimate sales that eclipsed January, February, and March combined. The next book in the Captain James Hook series is on schedule. I am now 37,000+ words into the first draft and reset the plot in a new outline. I’ve decided that October 31st will be my yearly release date. With any luck, I’ll be able to increase the frequency of the books I write in the coming years, but for now I kind of like the sound of a Halloween book launch. The $1000 pledge is growing each month. April was just the kind of break I was hoping for and I’m looking forward to what May will bring. The weather is nice now, but winter 2013 is closer than any of us want to think about and forward is the only way to go. Hold up! 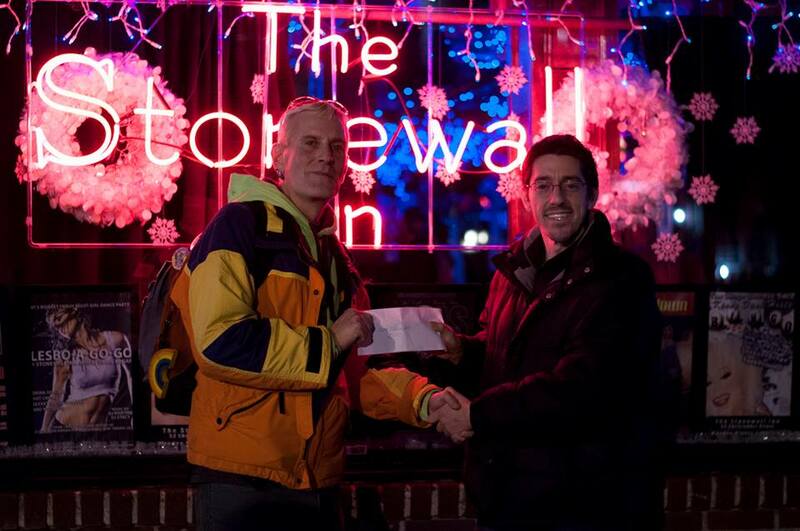 Don’t know anything about my $1000 donation goal to @MCCNewYork Homeless LGBT Youth Services? Click here to catch up. March provided some deeper insight into how my decisions are intertwined with my success in reaching the donation goal. Since success in book-selling is gauged by sales (duh), I can see in simple numbers where I am doing well and where I need work. March was a slow month compared to January and February. This could be due to any number of factors, ranging from promotional mistakes on my part to the possibility that people just ran out of money on their holiday gift cards. There are no reviews below a 4 out of 5 on Amazon, so it isn’t as though the book is being panned. What’s important is that I am learning and pushing forward. Nearly all of my sales still come through Amazon. It makes sense, since most of my ratings and reviews are on that site. Now that the online book-selling mega-store has purchased Goodreads, I can expect that this trend will continue. What Goodreads does is allow readers to network with each other and recommend books through ratings and similar interests. Amazon now owns the top book recommending site and the top book selling site. The decision I have to make is whether I can more quickly reach my pledge goal by being exclusive on Amazon. This would mean forsaking Barnes & Noble, Kobo, and Smashwords (CreateSpace is fine because it is a subsidy of Amazon). It is counter intuitive to think that narrowing availability and engaging in free promotional days would help, but the numbers back this up. I’m going to hold off on making any changes for now, but if Amazon’s trend continues, I’ll revisit the idea. Despite what we were told as children, books are judged by their covers. I made the current cover for my book, which is why it looks amateur and doesn’t capture any sense of what the book is about. Some book cover designers charge between $300-$1200. I priced around and found an inexpensive and professional graphics artist for under $100. This investment should boost sales, but I am careful to avoid dipping into “pledge funds” to pay for it. There is a difference between reinvesting in a product and funneling money wastefully. Nothing sells books like having more books to sell. I am currently 23,000+ words into the first draft of the next book in the Captain James Hook series. I started typing in February and am on schedule to be done with this draft by June. From there it needs to get edited and revised. With the wind at my back, the title should be out in the last quarter of the calendar year. One of the most frequent conversations teachers have with students is about learning from their mistakes and how failure can lead to success. I suppose some of that rubbed off on me, because even though March was a slower month, the steps I outlined above should provide the boost I need to assure I reach my $1000 pledge in time for winter 2013. February was a great start to reaching my $1000 donation goal to @MCCNewYork Homeless LGBT Youth Services. Captain James Hook and the Curse of Peter Pan has been receiving a good amount of reviews and ratings, but I am far from done. One of the first steps I took was to diversify the marketplace where the book was available. Since June of 2012, the book was only on Amazon. At the end of January, I moved it to Barnes and Noble, Createspace, Kobo, and Smashwords. Thirty days later, however, I’m finding that 90% of the sales still come from Amazon. I’m keeping this system going for March and reassessing at the end of the month. Goodreads is a book networking site. It allows you to post, rate, and comment on books and authors. A new feature they offer to people who have an author account is self-service advertising. In February, I bought advertising and targeted it to readers of Historical Fantasy. 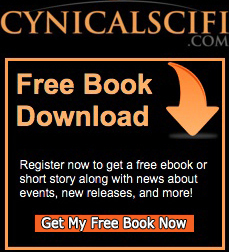 When clicked, the link sent people to the Goodreads landing page. The results were good and many people added the book to their virtual shelves. Moving forward in March, I’m going to buy another round and direct those who click on the link to the book’s page on this site. The hope is that people will see the pledge information in the right margin and read more about how they can help. Exposure for All is a site that sends out tweets for you to their hundreds of thousands of followers. It costs less than $15 for ninety posts that are spread out over several days. In order to maximize the exposure of this campaign, I input the list of tweets I wrote on the original pledge page. January and February went by so quickly that it is hard to believe that the next update will also be the first quarter report. I’m looking forward to learning as much in March as I have each month since deciding to self-publish. Help out by spreading the message of this pledge and the great work that MCCNY does for homeless LGBT youth.